The Ubben's are longstanding Fighting Illini fans and supporters who have made a significant impact on U of I Athletics. The Legacy of Illinois Athletics runs deep, passionate, and with as many treasured stories as one can imagine. Each story needs to be told, embraced, remembered, and passed from one generation of Illini to the next. These stories are connected with a common bond, yet independently unique at the same time. The Donor Recognition Wall at State Farm Center will recognize the great families and individuals making a Leadership Gift to the Illinois Renaissance of State Farm Center. Their support will allow Fighting Illini student-athletes to add their chapter in continuing the legacy. Standing alone, a story may get lost, but when bound together on the Donor Recognition Wall, these names, and the commitment to excellence they represent, will generate a bright spark of energy to inspire and ignite future generations of Fighting Illini. Tim and Sharon Ubben, who added their family name to the Ubben Basketball Practice Facility in 1998, are the latest Fighting Illini benefactors to add their name to a significant piece of State Farm Center with a $2 million naming rights gift for the Donor Recognition Wall. The Richard T. Ubben Basketball Practice Facility is named to honor Tim's father, Richard, who was a 1929 UI graduate in chemistry. The Ubbens have passionately shown their support of Illinois athletics for many years. This includes not only support of the men's and women's basketball programs, but significant support of the Illinois Renaissance of Memorial Stadium and all UI athletic programs in general. "Fighting Illini Basketball has, and continues to be, a passionate part of our family life," Tim Ubben said. 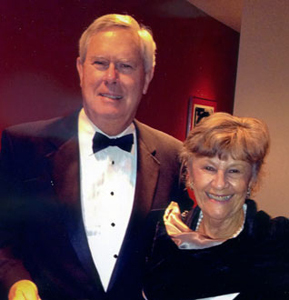 "Sharon and I recognize that State Farm Center is one of our nation's most prestigious arenas. It hosts countless meaningful activities from graduation and concerts to community and sporting events which all connect and inspire students, faculty, families, and friends." "Tim and Sharon Ubben have a strong passion for the University of Illinois which is reflected in their extremely generous and long history of supporting Fighting Illini athletics," UI Director of Athletics Mike Thomas said. "The support the Ubbens have so graciously given to Illinois Athletics has certainly made a significant difference in our Fighting Illini athletic programs. In doing so, they have made an impact on our student-athletes by enhancing their experience while at Illinois. We greatly appreciate all they have done for the Fighting Illini Nation and thank them for not only their continued support but for taking a lead with the State Farm Center project."